Westport Fire Department responded to two crashes on I-95 Sunday morning. One of those crashes killed 20-year-old Brian Andersen. WESTPORT — A young Westport man was killed Sunday morning after being ejected from a car that rolled over on Interstate-95. 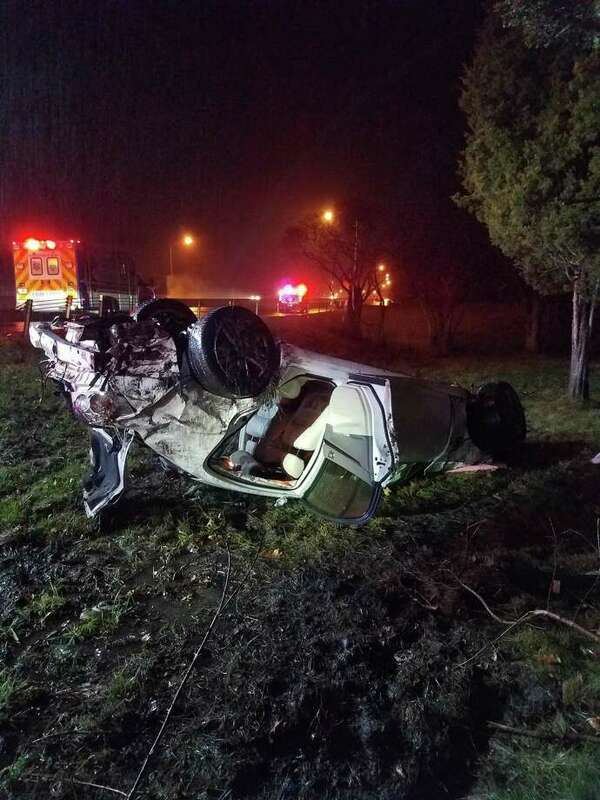 The driver lost control while changing lanes north of Exit 17 on I-95 Southbound in Westport around 3:45 a.m. Sunday, according to State Police. The car smashed into the guardrail, then a Department of Transortation sign and a bridge joiner, before rolling over and ejecting the passenger from the back seat. The passenger, Brian Andersen, 20, was sent to Norwalk Hospital, where he was pronounced dead, police said. The driver and front-seat passenger, who were also from Westport, were also evaluated at Norwalk Hospital. Their injuries were not serious, according to police. Anderson was the son of Lou Kitchner, the band director for the sixth and seventh grades at Bedford Middle School, heading the Westport All-City Band and Bedford wind ensemble. According to a GoFundMe (https://www.gofundme.com/brian-kitchner-memorial) page for a memorial fund, Andersen was the oldest son of Kitchner. On the site, it said “Lou Kitchner (Mr. K) is a single parent with two surviving sons, and those of us in the community know him as a kind and wonderful teacher who has spent his career helping our children. Now it is time for us to help him. “We are asking for contributions to this campaign in order to allow Mr. K to give his son Brian a fitting and proper burial and memorial. These expenses are significant, and additional financial stress in this time of tragedy would be a cruel insult added to injury. Westport Fire Department said it helped care for patients until American Medical Response and Westport EMS took over. The crash closed all lanes between exit 18 and 17 for more than six hours. Eventually, all but the right lane was reopened so that crews could repair damage. The right lane was reopened around 12:45 p.m. State police are investigating the incident. Witnesses are asked to contact Troop G at 203-696-2500. Earlier that morning, Westport Fire Department said it responded to another crash near Exit 18 on I-95 Southbound. That car flipped over around 3 a.m. with the driver still inside. Crews stabilized the car and pulled the driver from the vehicle. Westport EMS cared for the patient.